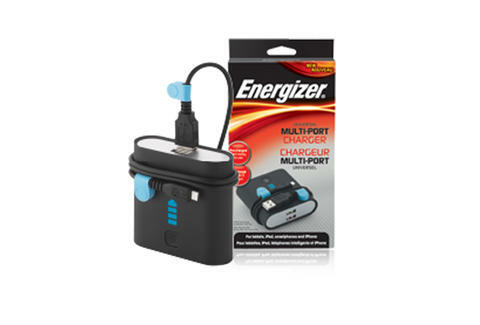 In fairness to the other battery behemoth, Energizer offers this mini brick that packs serious power. This universal multi-port charger carries enough juice to replenish an iPhone and iPad at the same time. Maybe they should hire Nas.